Included are Build Toronto, Toronto Port Lands Corporation, Toronto Parking Authority and Toronto City Real Estate. 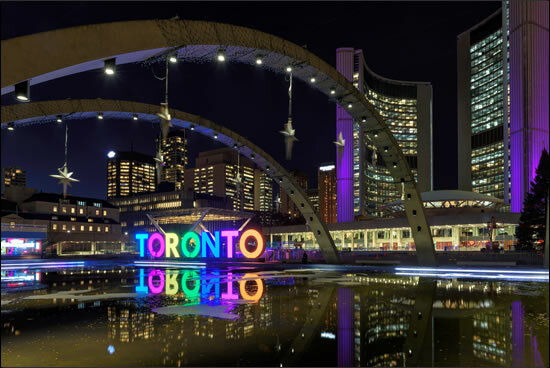 As a significant and influential landowner in the Toronto real estate landscape, the City of Toronto’s reorganization of the management agencies responsible for the city’s real estate assets is a move that comes with many questions. With an enormous and diverse real estate portfolio, developers are constantly working with the city to purchase, partner with and redevelop surplus lands, generally to create additional much-needed housing in the City of Toronto. Up until January 1, 2018, most of the city’s portfolio was managed by four distinct groups consisting of: Build Toronto, Toronto Port Lands Corporation, Toronto Parking Authority and Toronto City Real Estate. After a year-long process, the city has completed the consolidation of its real estate holdings into a centralized entity, which will have effective management and control over all surplus city lands and real estate activities. According to a recent City of Toronto press release, this new entity is called CreateTO and as of January 1, all development deals will be managed through the CreateTO offices. The aforementioned city groups will gradually merge into/report through CreateTO, and all redevelopment opportunities related to city real estate assets are said to be continuing within the mandate of CreateTO. Exact details on CreateTO’s operations remain to be disclosed. The intention is for CreateTO to centralize all decision-making on city properties in one organization. It remains to be seen how the consolidation of the city’s assets into one agency, which will now have direct involvement from both bureaucrats and councillors, will allow the City of Toronto to fully and efficiently maximize economic benefit from it surplus lands. We do look forward to representing our clients in partnership with the city on future development projects and hope that the consolidation results in practical efficiencies and the further development of surplus city assets for the benefit of all involved. Zale Skolnik is an associate at Robins Appleby Barristers + Solicitors. Previous articleDIY or Hire a Pro? THE LAWYER : Condominium Cancellations: Why All The Fuss? The Consultant: Time to get building in Brantford, Kitchener and Collingwood.